Reading, reviews and raising awareness. I can feel it swimming through my veins like glitter ... it's liquid gold. When socialite Lexi Volkov almost overdoses, she thinks she's hit rock bottom. She's wrong. Rock bottom is when she's forced into an exclusive rehab facility. From there, the only way is up for Lexi and her fellow inmates, including the mysterious Brady. Before I get into this review, it's important that I mention that the book has a lot of triggers in it. For sake of comfort I'm not going to list them all here, but if you'd like more information on what's included for your own wellbeing I'm more than happy to let you know - please dm me on Twitter (see contacts page for the link). I shan't be discussing in detail anything triggering in this review so you should be okay to read it regardless, but if you're worried just don't that's cool, your wellbeing is most crucial! Clean is gritty, honest and at times pretty brutal in it's description. It focuses on Lexi and a group of others mostly from privileged backgrounds, who are all in a rehab facility. They are all battling different addictions, but share many similarities in where their issues stem from, which psychologically speaking is often the case. It's really interesting to read about how a mix of young people, all of whom are at rock bottom, come together and help build each other up. This book made for challenging reading at times, but given the topics that it dealt with I think it is crucial for it to look at such issues in this way. There is very little point, in my opinion, in discussing topics like addiction and sugar coating them, because they're incredibly dark and challenging things, they shouldn't be 'fun' to read about! I loved this book so much because I think it was such an insight into life with addiction whilst still being beautifully written. The way that it's split up into different steps on Lexi's recovery journey is excellent, and I just love a book that comes full circle in the end! There were moments that made me really happy, watching Lexi grow and especially her relationship with Storm the horse! Animals can be super beneficial to mental health and recovery so I really loved that being included. 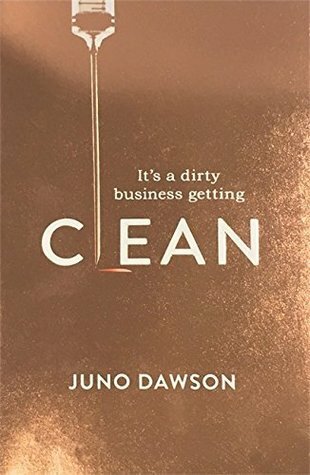 Having (somehow) never read a book by Juno Dawson before, Clean delivered just what I expected a book by her would! It was unashamedly honest and direct, dealing with incredibly challenging topics but in a way that was not over-the-top in the unnecessary details and really gave you insight into the many challenges of battling addiction. 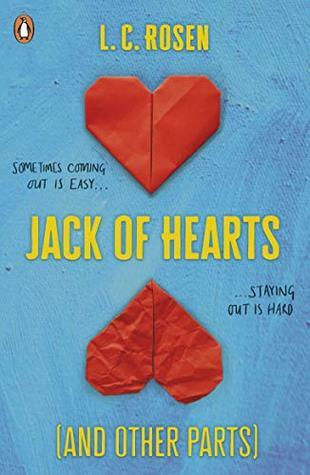 It's an emotional read and I'll admit I nearly cried on the train, but if you're confident that it won't be overly triggering for you I would certainly recommend it. Have you read Clean? Do you agree with my thoughts? What other books by Juno would you recommend? Let me know in a comment! I absolutely adored Clean, although it is a very difficult book at times. Thanks so much Cora! It's honestly one of the best books I've read this year even though it was one of the most difficult too! if you ever find yourself in the mood to try something different I'd definitely recommend it! I don't think it's like any other book on this kind of subject that I've read before.. it's much better! Psychology graduate, Christian and veggie from Suffolk, England. Currently working in a cinema. A book, film and tv show fanatic who's passionate about equality, the environment and sustainability. Fighting to reduce the stigma surrounding mental health issues. Sarah has read 0 books toward their goal of 45 books.